Los Angeles Kings goalie Jack Campbell will be out for at least a month after surgery to repair a meniscus tear in his knee, dealing another blow Monday to the NHL's last-place team. EL SEGUNDO, Calif. — Los Angeles Kings goalie Jack Campbell will be out for at least a month after surgery to repair a meniscus tear in his knee, dealing another blow Monday to the NHL's last-place team. 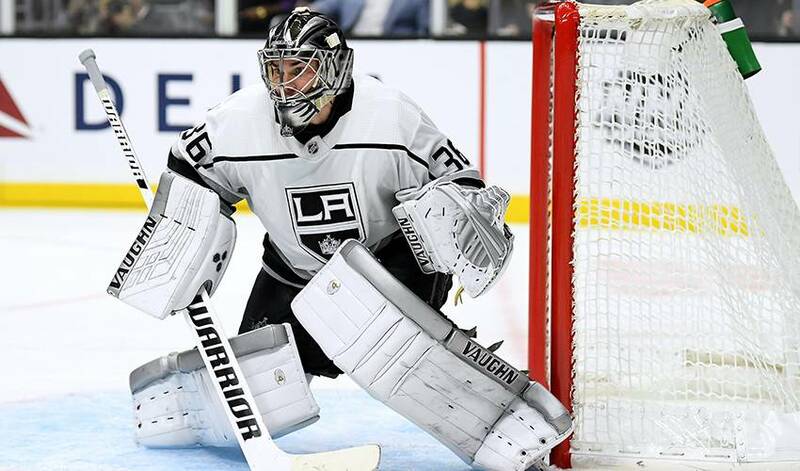 Los Angeles (5-10-1) is without its top two goalies after Campbell's injury followed Jonathan Quick's surgery last month to repair a meniscus tear in his own knee. Peter Budaj, who excelled during a stint as the Kings' starter during Quick's last major injury absence two seasons ago, is the Kings' likely starter until Quick returns. Budaj has appeared in just one game for the Kings this season, relieving Campbell midway through a loss at Ottawa on Oct. 13. The Kings also recalled goalie Cal Petersen from their AHL affiliate in Ontario. The former Notre Dame netminder is the organization's top prospect at the position despite an unimpressive statistical start to this season with the Reign.